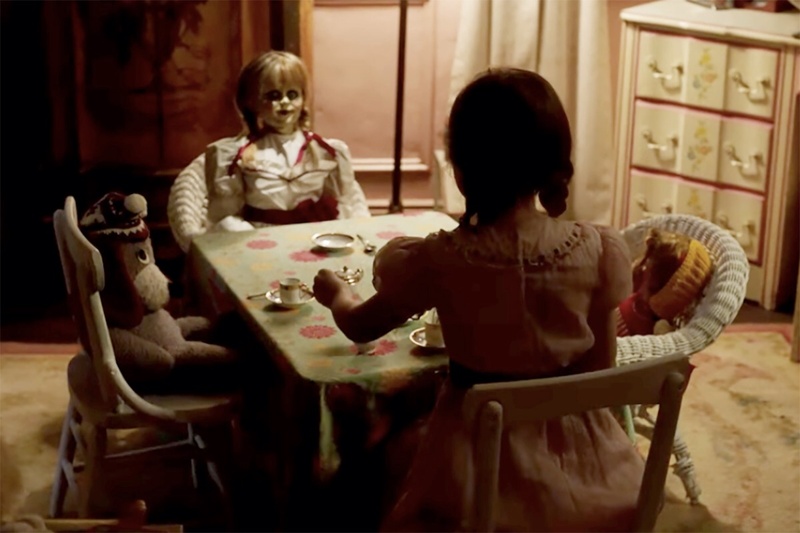 Annabelle: Creation can be categorised as a jump-scare paranormal horror film. However, unless you’re a fervent follower of The Conjuring series of films and the previous Annabelle spinoff – to which this is a prequel – it may also merit a tick in the slow-action-may-or-may-not-build-suspense and not-that-impressed boxes. A toymaker and his wife live out in the dusty countryside. Their daughter dies in a road accident on the way home from church. 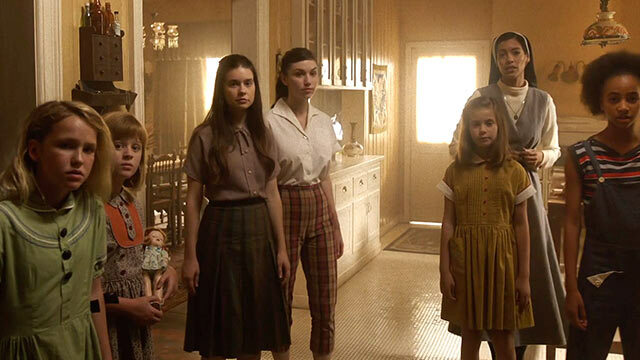 Twelve years later, the couple penitentially invite six Catholic orphan girls along with Sister Charlotte to come and live in their oversized wooden house. Cue creaky floorboards and child-written notes under doors. Locked rooms which mysteriously open themselves. A dolls house with lights that models the actual house. A creepy mannequin doll in a cupboard. A less than creepy scarecrow. Torches under sheets. Religious overtones, wooden crosses, a frenzied string section and every cliché in the book. The cast shrinks a little after the ‘monster’ is revealed exactly half way through the 109 minute film, though I was a little disappointed that Annabelle: Creation didn’t obey the final girl trope and rather too many cast members survive to the credits in my morbid opinion. Carol (Grace Fulton) was so asking for a grisly end. At first Anthony LaPaglia and Miranda Otto make a sweet if earnest Mr and Mrs Mullins before he adopts a sinister gruff demeanour and she disappears to bed. Stephanie Sigman animates Sister Charlotte and makes the most of the religious-sounding platitudes her character is forced to speak in front of the girls. 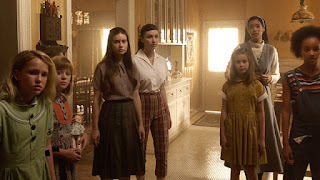 A cattiness amongst the six orphans relegates Linda (Lulu Wilson) and Janice (Talitha Bateman) to a smaller bedroom. The fact that Janice has polio and a leg brace neither dampens her sense of adventure nor her ability to get into trouble, rather effectively switching from heroine to villain. Talitha Bateman is the best element of this film. Other a brief discursion about parents being willing to do anything to find a connection with their lost child, I’m not sure that Gary Dauberman’s script and David F Sandberg’s direction intend to achieve anything other than scare their audience. There’s no real moral. And as a standalone film – I wasn’t even aware of its earlier incarnations having not done much homework before tonight’s screening – there’s no sense of it fitting into a larger narrative until the final twelve years later scenes right at the end. While I can appreciate the filmmakers’ craft skills and ability to make the hairs on the back of my neck stand up and to build tension through the groaning subwoofer, the actual plot felt far too thin to justify the doleful doll-ridden movie being made. Horror aficionados may violently disagree and consign me to a creepy cupboard. Yet it’s not all doom and gloom. At least there is the fun of watching the people in the rows in front involuntarily rise up out of their chairs a couple of inches and then fall down again when the creepiness is interrupted by a bang. Annabelle: Creation opens in Movie House Cinemas from Friday 11 August. Warning: contains tickling and wooden dolls.